Commerce Minister Tofail Ahmed said �Digital Bangladesh� is not now a dream any more rather it has turned into reality, though it was once only a dream to the people. He made the comment on Sunday while speaking at the launching ceremony of Digital Signature Provision into the System of Registration of Joint Stock Companies and Firms (RJSC), organised jointly by the RJSC and the Ministry of Commerce, at the BIAM auditorium in the city. The minister commented that the digital signature integration into RJSC system would certainly expedite the prompt, transparent and simplified services for businesses. �It�s the dream of our Prime Minister Sheikh Hasina to achieve the vision of �Digital Bangladesh� by 2021. 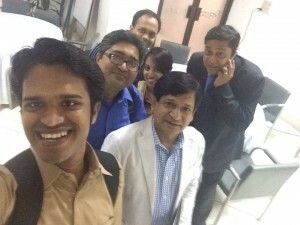 Digital Bangladesh does not mean only the broad use of computers rather it comprises the effective and useful means of using technology to implement the promises made to ensure better education, health, investment generation, poverty reduction etc,� Tofail added. He said it is a matter of pride that the RJSC has become the first paperless office of the government since 2009 and its continuous efforts at every step are also praiseworthy. �The key target of the government is to have a modern and liberal international trade and investment policy environment. Both export and import policy orders have been formulated based on that principle,� the minister added. He said the country�s economy is increasingly led by export-oriented industrialisation. The import totaled $36.99 billion and export amounted to $30.18 billion in the year 2013-14 and the international trade is approaching to reach the $100 billion club soon. To sustain growth, the entry to new business and encouragement of investment inflow into private sector is absolutely vital. Mentioning that every year more than 7,000 new companies are getting registered with RJSC, Tofail said this is really a notable sign of business growth and this is why the introduction of digital signature integration into RJSC system has been very significant. State Minister for Post, Telecommunications and Information Technology Zunaid Ahmed Palak MP, President of Federation of Bangladesh Chambers of Commerce and Industries (FBCCI) Kazi Akram Uddin Ahmed and Senior Secretary of Commerce Ministry Hedayetullah-Al-Mamun were present in the launching ceremony as special guests. 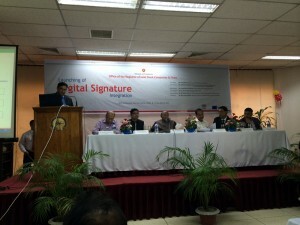 In his speech, Zunaid Ahmed Palak said the initial support of the automation of the RJSC has been effectively sustained with such a reform elevating the position of Bangladesh in abroad, the integration of Digital Signature will make RJSC a pioneer in next phases of public digital offices. He said corruption and political influences in capturing tendering process have been reduced remarkably due to the introduction of the e-tendering system in almost all the government organisations.